Loose motions can be caused due to intake of unhealthy food and upset stomach. They are often watery and a person has to visit bathroom again and again because of watery bowel movements. They can lead to dehydration and weakness in the body. In children, it is very serious as it can lead to dehydration among them and should be treated instantly, specially with infants. Usually they last for 2-3 days and occurs due to chronic disease of large intestine. Let’s take a look at some of the effective home remedies that can help in treating loose motions in an effective way. 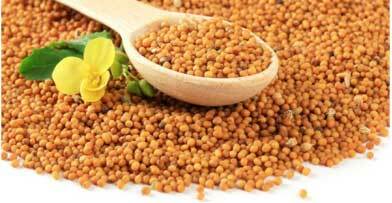 Mustard seeds have antibacterial properties which treats the watery stools in an effective way. Take one-fourth tsp of mustard seeds and mix them in 1 tbsp of water. Keep it there for an hour. Drink this water as a regular tonic and drink it twice or thrice in a day to get rid of dehydration. Pomegranate helps in reducing loose motions and symptoms that are caused by them. Eat 1 whole pomegranate to get rid of loose motions and you can also blend pomegranate seeds in the juicer and extract its juice. Drink this juice twice in a day to prevent loose motions. It also helps in preventing the weakness that is caused by loose motions in the body. Also take some pomegranate leaves and soak them in a glass of boiling water. After few minutes, strain this water and drink it to get rid of loose motions. Lemon is anti-inflammatory in nature so it helps in clearing the stomach and prevents loose motions. 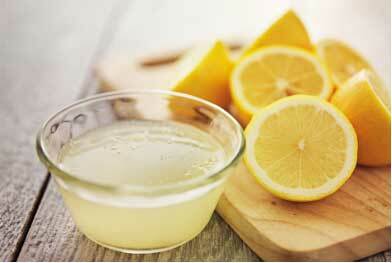 Take out the juice of 1 lemon and add 1 tsp of salt and sugar to it. Mix well and keep drinking this lemonade every hour. This will help in removing toxins from your body causing loose motions. Take light food and also drink lemonade for atleast 3 days to prevent loose motions completely. Get some organic honey as it works well in treating the infections in your body. Take a glass of warm water and add half tsp of cinnamon powder and honey. Mix it well and drink this water on empty stomach in the morning. Continue drinking this water twice later in the day to cure the infection in the stomach in an effective way. This helps in retaining the water in the body and prevents water loss. Take 1 fresh bottle gourd and peel its skin. Wash it with clean water and then cut it into small pieces. Put these pieces into the blender and mash them well. Now squeeze the mixture well and take out its juice. Consume this juice two times a day so that the water level retains in the body and body does not dehydrate. Fenugreek has antibacterial properties that helps in fighting loose motions. Take 1 to 2 tbsp of fenugreek seeds and make a fine powder by grinding them in the grinder. Now mix this powder in a glass of water and consume it in the morning on empty stomach. Repeat this process for 1 or 2 days to get relief from loose motions completely. 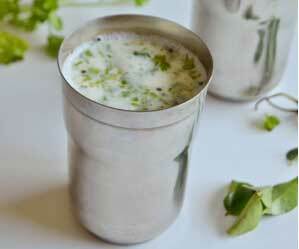 Buttermilk is considered good for stomach as it aids proper digestion and removes acidity. Take a glass of buttermilk and add 1 tsp of salt, little black pepper powder and jeera powder. Mix well and drink this mixture twice or thrice in a day to prevent loose motions and stomach infections. Raw papaya prevents loose motions and stomach cramps as well. Grate a raw papaya and put it in a bowl with 3 cups of water. Boil this mixture for 10 minutes until the papaya becomes soft. Now strain this mixture and let it be lukewarm. Drink this mixture two to three times in a day to get rid of loose motions in an effective way. Curd has probiotic properties which keeps the stomach infections at bay and also helps in preventing them. 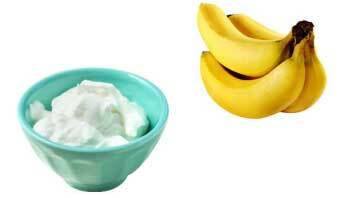 Take 2 ripe bananas and mash them well to form a smoothie. Now take a bowl of curd and mix this smoothie in the curd well. Consume this mixture once in a day to get rid of loose motions. It is very effective in treating stomach inflammation and upset digestive system. Prepare a cup of chamomile tea by putting chamomile tea bag in a cup of boiling water. You can also use chamomile leaves or flowers if it is available. Boil this mixture for 15 minutes and then strain it. Consume this mixture twice in a day for 2-3 days to prevent loose motions and stomach problems in an effective way. 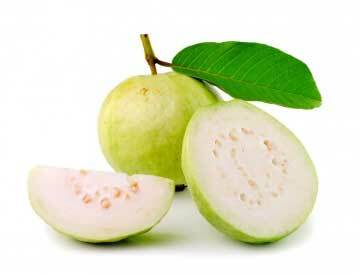 Guava has astringent which helps in curing loose motions in an effective way. It helps in binding bowel movements so consume 2-3 guavas in a day to prevent loose motions. You can also have guava juice twice in a day to prevent loose motions. Guava leaves are equally effective in treating loose motions. Just take some clean leaves of guava and boil them in a glass of water for 10 minutes. Strain the water and add some salt in it. Let it cool and then drink half glass of water in one go. Drink the remaining water later in the day. This will prevent the loose motions.